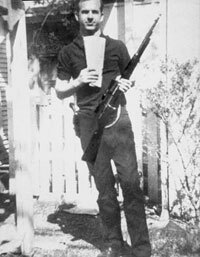 Confession: I am a JFK assassination buff. I never much liked the term, but it describes me well. I’ve read just about every book ever published on the assassination, watched every documentary, mock trial, and dramatization. And for a long time, until about 14 years ago, I was a conspiracy theory believer. Too many loose ends. Too many coincidences of propinquity. And since I had no understanding of physics, or ballistics, or medicine, or of the world, really, I was fascinated with Oliver Stone’s enormously influential JFK. I remember writing somewhere, and bear in mind I was 14 at the time, that the third act scene with “Mr. X” was one of the most dramatic moments in modern film history. That might have been true to a kid who hadn’t scene many movies and who had no idea how awful New Orleans prosecutor Jim Garrison actually was, or how utterly absurd his theories were. A year later, the day that Gerald Posner’s Case Closed came out, I remember sitting in my high school library waiting for my chance to page through U.S News and World Report, which was serializing the chapter on the “single bullet.” I was nervous. Part of me didn’t want to read a book that concluded something that was precisely the opposite of what I believed. But, clearly, I wasn’t totally convinced, because I wanted to read it in the first place. I took the magazine and began to read. I can pinpoint the moment when my blinders came off, when my childhood assassination conspiracy fantasies dissolved. Posner pointed out that (a) the president’s row of seats inside the presidential limousine were built to be higher than the row of seats where Gov. John Connally and his wife Nellie would sit; and (b) all the photographs of the motorcade entering Dealy Plaza showed Connally sitting closer to Nellie, away from the edge of the car. Continue reading at The Week.